Facts are difficult to digest. People do not like those who speak truth, because truth is bitter. If I say that, your blog will not make money, will you like me? Definitely not. There are few, very few bloggers making money blogging. One can count them on fingers. Why 90% bloggers are not earning money blogging? If any one starts blogging with the idea of earning to make a living, it will not workout. Believe me. If you still say they there are bloggers earning money, huge money, they are successful bloggers. Those bloggers have established credentials in media for long years before becoming bloggers. In the words of Penelope Trunk, in her article 8-reasons-why-you-wont-make-money-from-your-blog says “Usually I’m the first person to rip on print media as outdated and a dead-end career. But here’s something that maybe you don’t realize: Most big bloggers today have a strong background writing for print. For example: Erik Schoenfeld (TechCrunch), Owen Thomas (Valleywag), and Penelope Trunk all wrote for Business 2.0 magazine at the same time. Ten years ago. Which means we had a ton of national media experience before we started blogging. Anya Kamenetz (Yahoo Finance) wrote for the Village Voice and had a very serious book published—before she started blogging”. Penelope Trunk also wrote that there are exceptions for the above statement. She further say exceptions like, Heather Armstrong at Dooce, is not by default, She endorses that Heather is a skilled writer and talented designer.and her husband helped her in designing all tech stuff for her. Penelope Trunk further confirms that Heather is a versatile writer along with abilities like photography, memoir, twitter, and so on. If you can confidently say you come under any of the above categories, you are already earning and this article is not for you. So do not depend for your livelihood on blogging. The most frustrating situation is when your blog do not earn even a single dime after 100s of articles and valuable content. Remember unless many readers read your article and confirm that you article is having engaging and informative content it is not valuable as claimed by you..
Blogging is a full-time activity and life consuming. 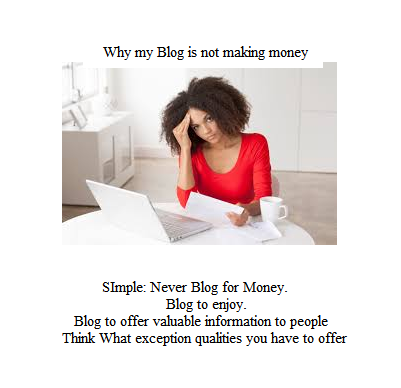 Without making a basic living or have someone to support you initially for a living do not depend on blogging. for money Until your blog gains acclaim around do not jump as full-time blogger. 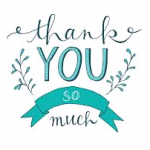 Gina Trapani’s in her post so-long-and-thanks-for-all-the-fish, says that she is taking a break from blogging because it’s so life-consuming. One-half, or more, of paid online display ads never appear in front of humans.Middleman agencies have been receiving kickbacks for traffic “volume discounts” based on fraudulent ad impressions.Ad networks and publishers knowingly trade bot traffic because it earns money for both, but at the expense of the clients. To attract traffic to your blog do not waste money for online advertisements. Online advertisement budgets costs you more than the returns. Online advertisements are useful only to full-fledged blogs not for new blogs. Online advertisement are only supportive system to the main blog. Those advertisements only get you ad impressions, not page views nor loyal customers. few thousand ad impressions get you few clicks on the ad but not page views. Other places where new bloggers think that they get traffic is social media. Once again it is not that rosy. Social media is for different purpose not for blog promotion. .Social media is mainly for closely related people to exchange ideas and activities. Why should they be interested in your blog? Before spending money on online advertisement, may be on AdWords, may be on social media or otherwise try to understand how Google judge quality content. If not paid advertisements how to promote a blog? Google loves holistic content. Produce enough informative engaging content. Google accepts images. According to Google an image is worth thousand words. Be a master in crafting your article. Think before you write. Never deviate from the aim of the article. Tell your story confidently and clearly. Do not much worry about optimization techniques, keyword targeting and online advertisement. Most important of all gain special skills of writing. Do not assume that you are an expert. Your blog post visitors have to say that. The only way to develop writing skills is through writing, learning, reading other bloggers like Amit Agarwal (Digital Inspiration), Penelope Trunk. Information rich blogs like Tech Crunch. If you follow the above guide lines for a long time you will start feeling positive results. I am not assuring a great revenue but a great applause from your visitors. You will undoubtedly get fan following. You will get mental peace that you have you have done your job. What else you expect as a blogger. If bogging is your aim and not earning a living this method and techniques will workout. Needless to tell that money follows without you asking for it. First become a good blogger, an expert blogger and a noticeable blogger among net circles. The rest is a cake walk, Enjoy blogging. Best of luck..